It is now well-established that smoking-related behaviours are under a substantial degree of genetic influence. Efforts are now focused on identifying the specific genetic variants which underlie these behaviours. 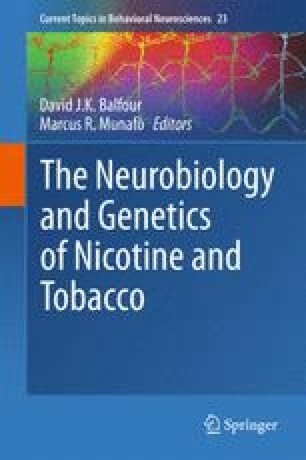 Within this chapter, we introduce a variety of established and emerging methods employed to identify such variants, ranging from candidate gene to whole genome sequencing approaches, and highlight what these techniques have taught us about the genetic architecture of smoking-related behaviours. Further, we discuss how phenotype refinement has developed our understanding of these relationships, affording us insight into the specific mechanisms linking genetic variants to smoking-related behaviours.